That’s the good news. The great news? It’s happening a whole lot sooner than you’d expect. 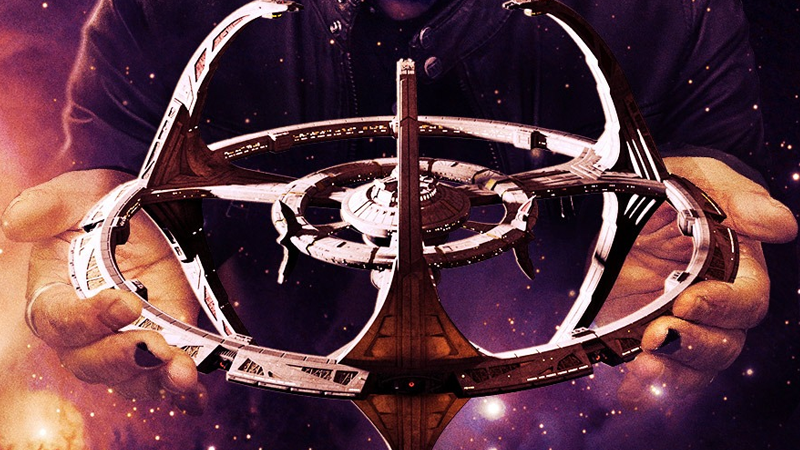 While Shout Factory—which recently signed a distribution deal for the doc, after it spent the past few years in the works through various crowdfunding campaigns—has yet to officially confirm the news, Fathom Events has revealed that What We Left Behind: Looking Back at Star Trek: Deep Space Nine will screen in theaters across the U.S. on May 13. The whole station’s in Ira Steven Behr’s hands in a new poster for What We Left Behind. While the special screening is a good announcement, most importantly it means that after almost two years of work, director changes, and the move to incorporating brand new HD remasters of DS9 footage, What We Left Behind is finally entering the home stretch. With screenings just a month away, details on when fans who backed the documentary in its crowdfunding stages will get access to home copies can’t be too far behind—and while it’s missed the 25th anniversary year itself in the process, it seems like it’s going to have been well worth the wait. We’ve reached out to Shout Factory to clarify when more details around What We Left Behind’s release beyond this screening will be confirmed, and will update this post if we hear back.